← Just how mobile is the Windows 10 experience? There are a number of things about my job that keep me awake at night or wake me up early and none of them are bad. It’s all about the excitement of what is coming our way in the management of our servers. 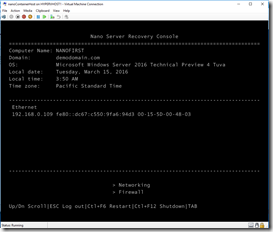 One of those excitement points as I call them was October last year when Jeffrey Snover demonstrated the ability to manage the awesome Nano server technology (another excitement point) from a cloud based console. No date was given and no expectation of the true goodness that was about to be delivered. 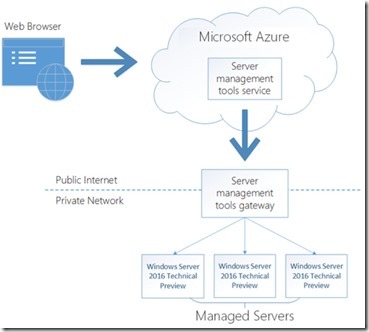 Well on February 9th the Server management Tools (SMT) went into public preview as an Azure service. 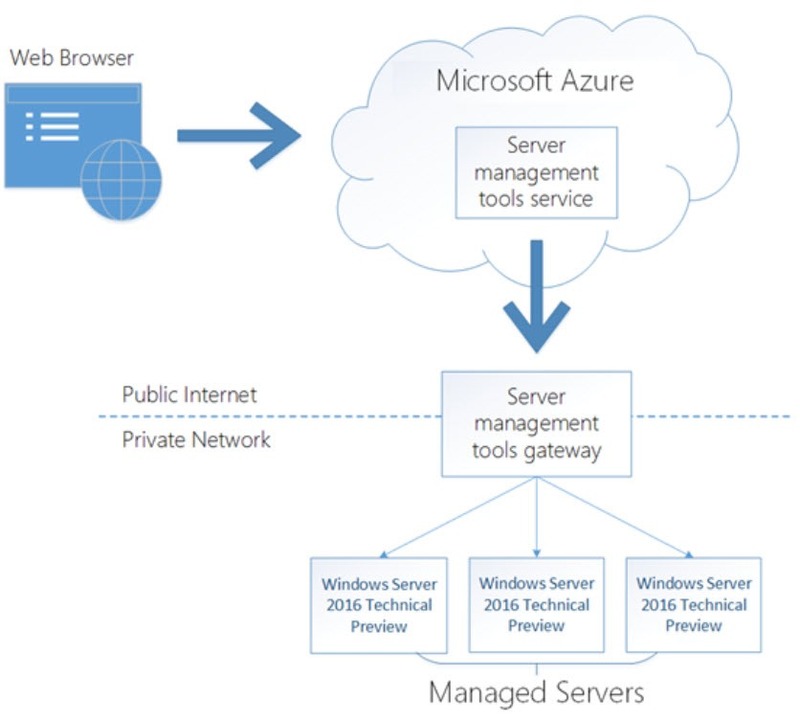 This new service allows you to use your Microsoft Azure Portal to create multiple instances of Server Management Tools, 1 instance for each server you would like to manage. 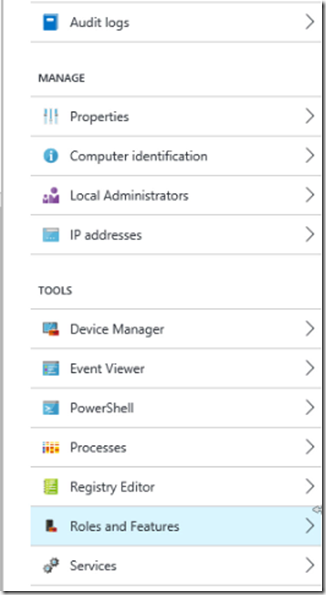 You need to have an SMT gateway which you can install on one of your Azure VM’s or in your datacentre. Once that is done you are free to use this portal to carry out a wide range of management functions. 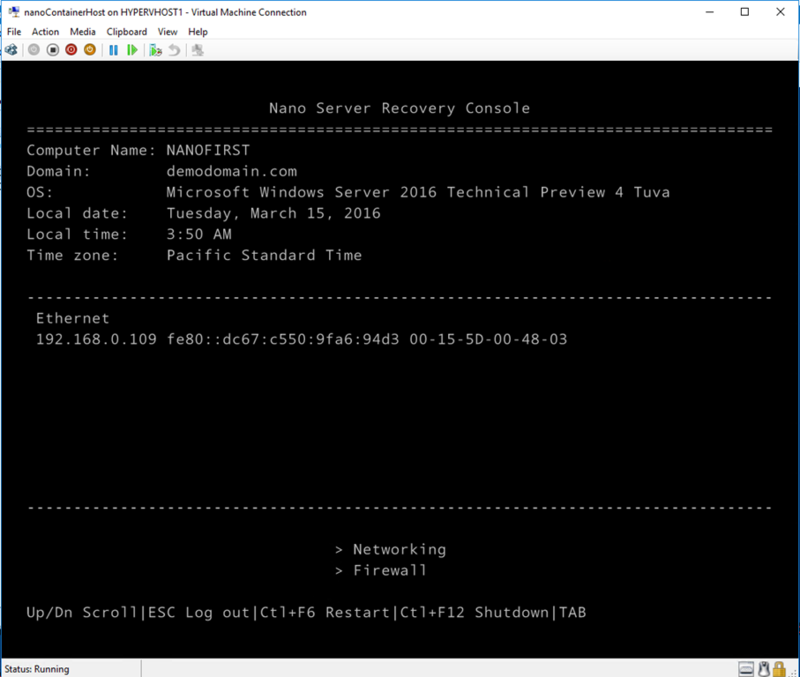 The service really comes into its own when you have a number of hosts running the new headless Nano server deployment. 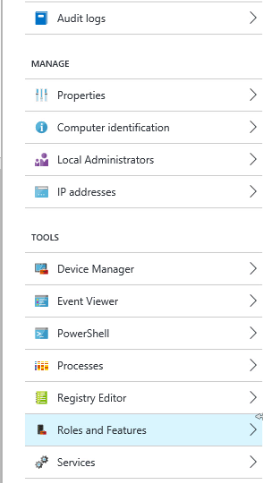 There is no way to manage these other than by remote PowerShell, you cannot RD into the console (there isn’t one). 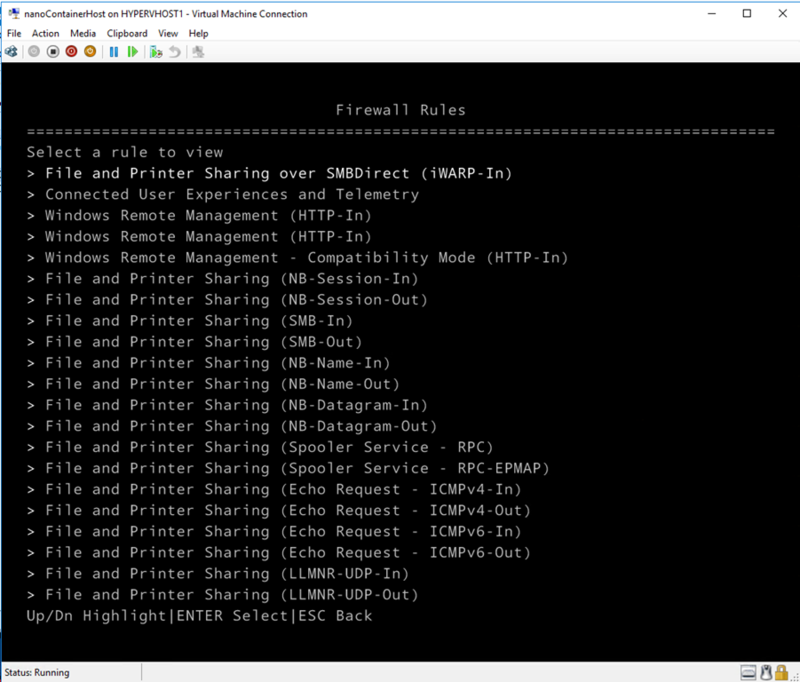 You can connect directly to make a couple of firewall changes and checkout the networking, but that is all. Nano server is featured widely on Channel 9 and Microsoft Virtual Academy, why not brush up on your Nano server skills before reading on. 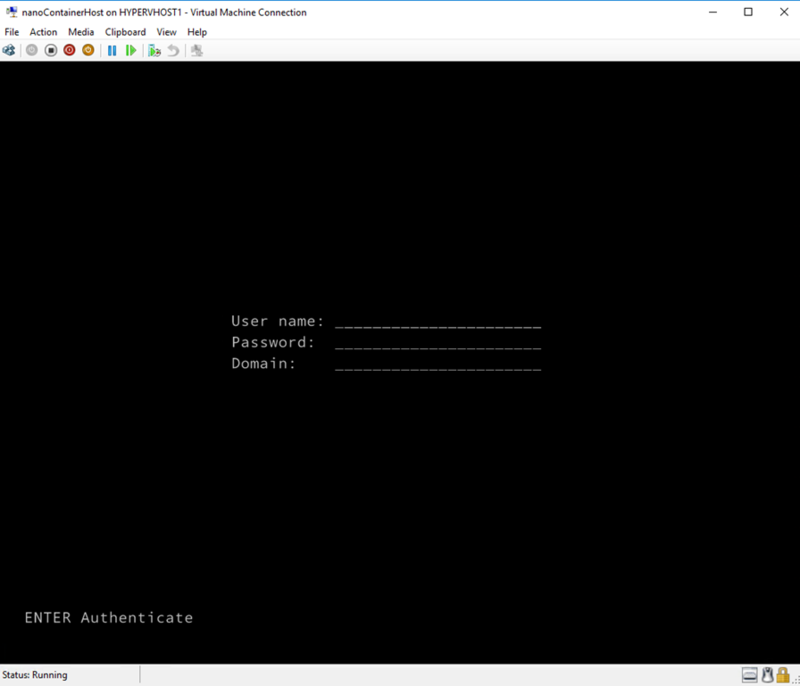 Rather than take you on a complete walkthrough which is already available here, I have produced a @Ch9 video which lasts around 30 minutes and takes you through the whole process of setting up VM’s the SMT service, gateway and management options. 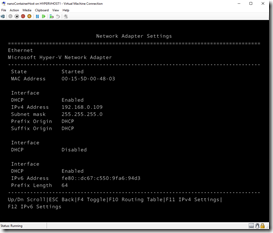 Having deployed the full set of SMT tools to your Nano server it is then possible to run a remote PowerShell session directly onto the server. 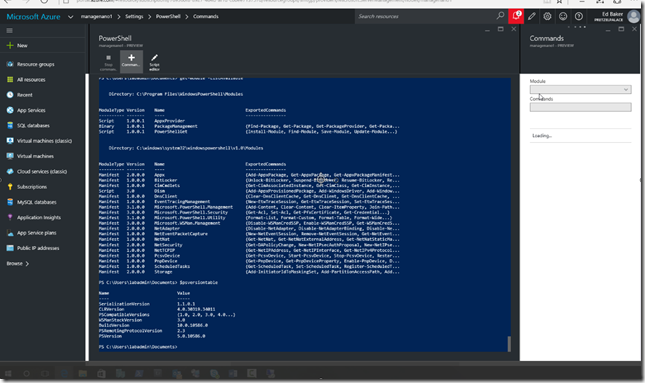 In addition to that the PowerShell console has the full command window experience and a Script Editor to boot. you can also carry out all the below management functions. A whole array of powerful functions that are just not available to you on the Nano interface (as it is). It is particularly useful to be able to join a domain, rename the machine and check on roles and services available or installed. 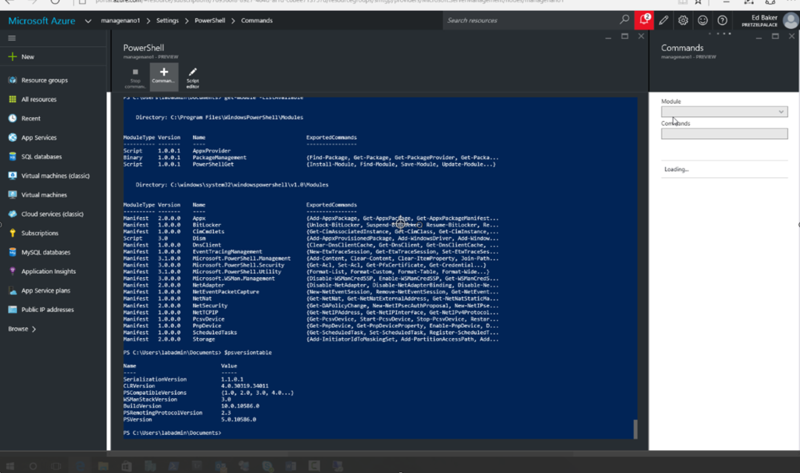 The one gotcha you will see in the @Ch9 video at 22 minutes 40 seconds is the failure to connect to the Nano server from SMT. 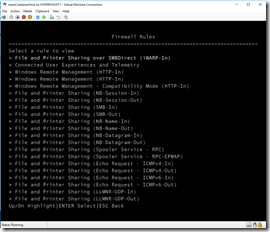 Regular PowerShell users will know instantly that it is because the machine you want to manage is neither in the same domain as the management server or is it in the TrustedHosts list. 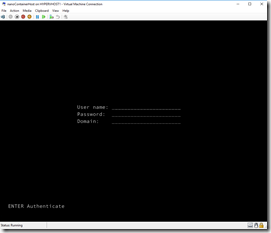 A simple one liner run in an elevated PowerShell session on the management server will fix this. Now for a production system please replace the * with the IP address of the server you want to manage. For a lab system adding the * wildcard to open up all options is acceptable. Once done, this error will disappear. The flexibility of this service to manage your cloud or on-premises servers is what I like most. 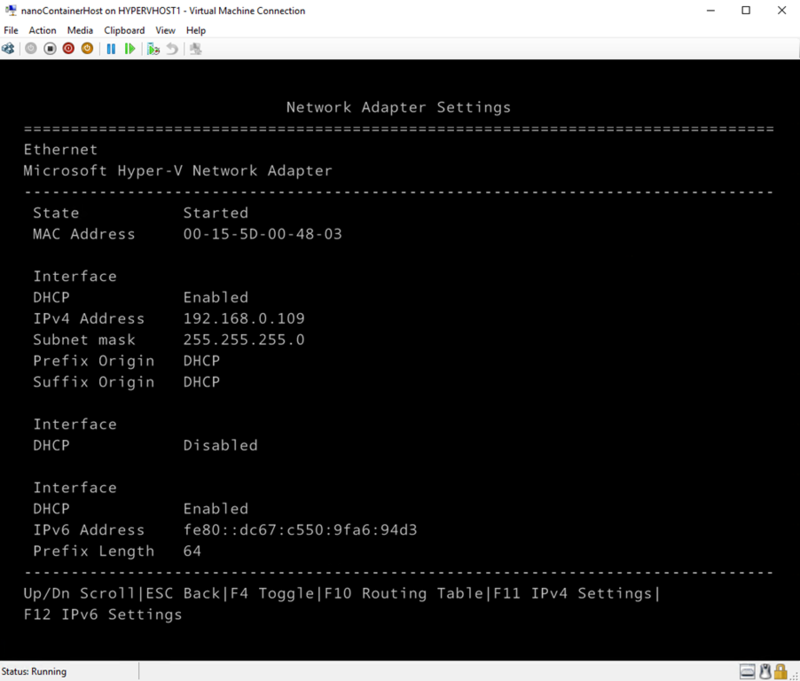 I can now be anywhere and as long as I have web-access I can use the Azure Portal to manage my entire Nano server (and full Server 2016 TP4) infrastructure (albeit one by one). I hope you enjoy the video and do keep checking this blog and the @Ch9 page for new content.